Last month, I mentioned we’d be changing the format of FemgineerTV and going with a new format. We’ve broken up each episode into weekly bite-sized segments, making it more convenient for you to watch during daily breaks or to listen on the go. Today, I’m excited to share the first segment of the first episode of our new show Build with you! As I was brainstorming ideas for this first episode, I thought out all the misconceptions that have plagued me throughout my career. One in particular that I fell prey to early on in my career was staying heads down and waiting for someone to acknowledge my accomplishments. The thought of tooting my own horn seemed too self-promotional. I was worried about what my teammates and boss would think. It wasn’t until I came across people who helped me find my voice and style that I realized the disservice I had been doing to my career. Through their guidance and support, I realized how beneficial mentors can be to your career. why it’s good to have a mentor. In future segments, we’ll tackle how to effectively get a mentor, and how you can get started as a mentor! To help us out, I’ve invited Karen Catlin, who is an Advocate for Women in Tech, a leadership coach, and co-author on our book, Present! A Techie’s Guide to Public Speaking. Listen to the episode on iTunes! You can listen to this episode of Build on iTunes. Please take a moment to leave us a review. Your positive review will help us get featured in News & Noteworthy and bring more exposure to the work we’re doing, as well as the talented guests we feature! Poornima Vijayashanker: One misconception I fell prey to early on in my career was staying heads down and not talking about my accomplishments. I felt like it was too self-promotional to toot my own horn, and I worried about what my colleagues and my boss will think. It wasn’t until I came across people who helped me find my voice, and told me that it was OK to share the work that I was doing, that I became more comfortable. And it was through their guidance that I realized how valuable that mentorship can be to catapulting your career. While there’s been a lot of talk already around mentorship, we’re gonna dive a little bit deeper. In this segment, we’ll dive into why you might be resistant to getting a mentor, and in future segments we’ll talk about how to effectively approach a mentor, and if you wanna be a mentor, how to go about getting started. Welcome to Build, brought to you by Pivotal Tracker. I’m your host, Poornima Vijayashanker. In each episode of Build, I’m going to be talking to innovators in tech, and together we’re gonna be debunking myths and misconceptions related to building products, companies, and your career in tech. And to help us out, I’ve invited Karen Catlin, who is an advocate for women in tech, a leadership coach, and my co-author on our book, Present! A Techie’s Guide to Public Speaking. Thanks so much for joining me, Karen. Karen Catlin: Oh my gosh, it’s my pleasure, Poornima, thanks for having me. Poornima Vijayashanker: Yeah. This is such an exciting episode for me, ‘cause you and I have been working closely for a number of years. Now, for our audience out there, I wanna go back a little bit to your days as a VP at Adobe, and walk us through what you were working on there. Karen Catlin: Sure, sure. So I joined Adobe through the acquisition of Macromedia, so I actually worked at those two companies for 17 years, so a big bulk of my career. And while I was the Vice President there, I ran the shared engineering services, which included things like product security, product globalization, our open source, our engineering productivity tools, accessibility work. All sorts of things that we hire deep experts in those areas, and then worked across the product teams to help them with their product releases. Poornima Vijayashanker: In addition to your role as VP at Adobe, you were also mentoring a lot of people. Walk us through why you decided to do this. Karen Catlin: Sure. And I actually started mentoring people much earlier in my career. I remember at one point, at Macromedia, I was a program manager, and in fact I was the only program manager for the company at the time, and I worked on a very early version of Dreamweaver, which you may remember. And as other product teams started hiring program managers, I offered to help hire them and train them, and bring them up to speed. And because of that interaction, a lot of those program managers, by default, kind of started looking to me for ongoing mentorship about how to be successful in their role. So it started out really there. And then, certainly I just kept continuing to do that as I moved up with my career and into the VP level. Poornima Vijayashanker: That’s great that you were doing a lot of corporate mentorship, but as I know it, you also had been mentoring outside of Adobe and other companies that you worked at. Talk to us about the kind of mentorship you did outside of the company. Karen Catlin: Sure. So there are quite a few ways to get involved in, formal mentoring programs, I’ll call it, and I do that through…for example, my alma mater, where I mentor a senior, an undergraduate, who’s about to start her career, and I provide mentoring during her senior year, which is great. And I get matched with someone, and it’s a nice way for me to give back to the university, as well as to learn about what a senior is going through right now in her life, and trying to figure out and navigate the career options and so forth. I also do more informal mentoring, which I like to call micro mentoring, and I do that through The Women’s Club of Silicon Valley, where I’ve been a member of that for a number of years. I’ve been on their board, and I certainly love helping our members with anything that they might need some advice on, some help on. And I call it more informal because we’re not matched, people just reach out to me if they have advice that they want to seek, they wanna get my experience that I’ve had on something. And they’ll just reach out and say, “Can we get a cup of coffee, get together for lunch,” something like that. So it’s much more informal and kind of organic that way. Poornima Vijayashanker: So let’s dive into kind of the bigger theme here, right? ‘Cause I know a lot of people say that mentoring is important, but why is it even important? Like, why do we need to do this, why can’t we just read books, or ask our boss, or ask our colleagues for help when we need it? Karen Catlin: Yeah. So first of all, I think that I enjoy mentoring because I wanna pay it forward. I want to share my experience, and help other people who might be going through similar challenges, or similar choices that they need to make, to learn from my experience. And I hate reinventing the wheel, so if I can help other people not have to reinvent the wheel themselves, if they’re going through the same type of situation that I’m going through, I’d love to—or, have gone through, excuse me—I would love to share my experience with them. And this whole notion of paying it forward is one reason I mentor, but it’s really a two-way street. Every time I mentor someone, I learn something from them, too—it’s just not me providing my advice, I learn from them. I might learn about, you know, good new books or podcasts I should be listening to. I might learn about new productivity tools that are just, you know, a new app to do something that I had never heard off. When I was a VP I also might hear about certain challenges that people are facing, that actually helped me be a better leader, because I got intel and insight into what was going on around the organization that I might not otherwise hear about. Poornima Vijayashanker: Yup. And for the mentee side, what are the benefits for them? Karen Catlin: Oh, sure. So the mentees, they get to have a sounding board. For example, if they are trying to decide something, get some advice, they get to hear someone else’s perspective on that. They get to hear stories about a time that that mentor maybe went through something similar, and then they can learn from that. And they just might be able to take a step back from that day to day, I’m working, I’m getting stuff done, let me step back and think about what I should be doing with my career, these choices ahead of me, how I should think about a problem differently, or a situation differently. So, so many benefits to a mentee. 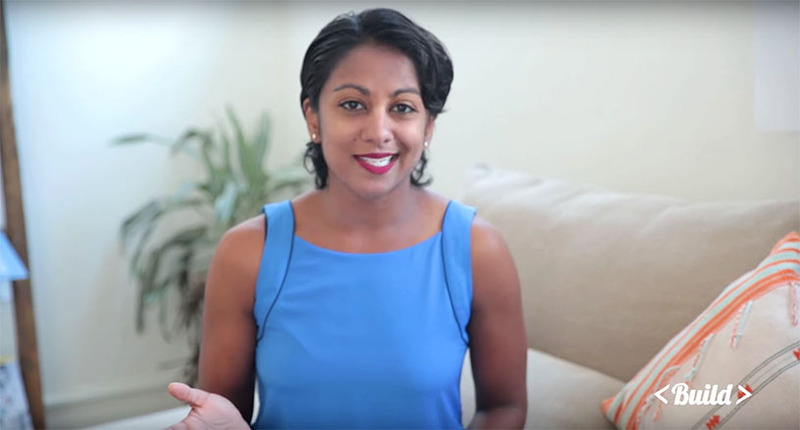 Poornima Vijayashanker: I’ve also heard of this word, sponsor, and I’m sure some of our audience has as well, so walk us through what’s the difference between a mentor versus a sponsor. Karen Catlin: Sure. So they’re very different, although they may sometimes be the same person. But let me break it down. A mentor is someone that you might meet with to get their advice, and they should share their stories, their life experiences, their perspective on things, so that you get that insight into what they, you know, how they think about things. By contrast, a sponsor is someone who is influential at your company, or in your industry segment, and they are going to be in situations, meetings, different situations where they will find out about opportunities that they might think of you as a good person to fill. So they will open doors for you that you might not even know exist, right? So that’s what a sponsor does, they know you well enough to recommend you for opportunities, and to support you that way. Poornima Vijayashanker: Yeah, a little bit more directed, then. Karen Catlin: Yes, exactly. But you might not even know you have a sponsor. They might just be doing this behind the scenes, and opportunities are coming your way and you’re not even sure why they happen. So sometimes you don’t even know you have a sponsor. Poornima Vijayashanker: Nice. Now, not everyone wants a mentor, why do you think people are resistant to seeking one? 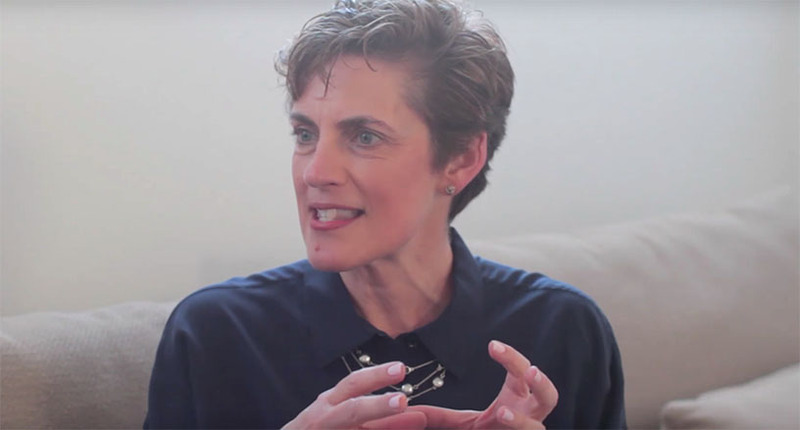 Karen Catlin: Yeah, so in my current role as an advocate for women who are working the tech industry, I have talked to hundreds of women about mentoring and the importance of mentors, and the two things I hear from many women—there’s a theme. The first is, “Ooh, it’s so awkward to go up to someone, or send a note, and say ‘Hey, would you be my mentor?’” You know, that’s awkward and a little intimidating, so they don’t wanna do it for that reason. And then the second reason is that they think they’re imposing on someone. Everyone’s so busy in tech, right? Super busy, and so why would some important person wanna take any time out to help me, right? It’s an imposition, and I don’t wanna go there. Poornima Vijayashanker: Yeah. And what would you recommend to kind of getting over those hurdles, if that’s what’s holding you back? Karen Catlin: Right, right. So I like to break it down with my coaching clients, as I encourage them to find mentors in their companies, I like to break it down in terms of, be very specific about your ask. For example, let’s say your goal is to file your first patent. That’s a really clear goal, and there are…then you can look at, who do I respect around the organization who’s filed a patent, and send a simple note saying, “Hey, I’d love to file a patent and I would like to have lunch with you to find out about your experience with patent filing.” You know, just really simple, concise, direct, this is what I would like to do. Sometimes it might be a longer term mentorship, so another example of an ask might be, “I’m very interested in growing my career to the director level. Would you mind meeting with me for three months, once a month, for half an hour or something. I’ll bring the questions, you bring the advice.” Right? Just be very specific about what you need. You don’t even have to say mentoring, like, that feels awkward. Just say, this is my ask, can you help me? And you’ll notice with both of those, whether it’s a one-off or a longer term thing, I time boxed it, right? And I think this notion of time boxing is really critical when you reach out to a mentor. If I were to say to you, “Hey Poornima, would you mentor me?” You’d be like, “What’s that mean?” Like, what does that even entail? What are they asking me to do? But if I can say, “Would you meet with me for half an hour, once a month for three months,” you know exactly what you’re getting into, and it’s a whole lot easier for you to say “Yes,” or maybe, “Not right now, I’m too busy,” if that’s the case, right? Karen Catlin: Exactly. And by the way, at the end of that time box period, let’s say that is a three-month, or a six-month engagement, if things are gelling and you still wanna be learning from that mentor, and the mentor wants to continue meeting with the mentee, you can continue it. You can renew it for another period of time, another six months, three months, whatever that is. Yeah. Poornima Vijayashanker: Thank you so much Karen, I think that’s a great place to get started with mentoring. And for all of you out there, if there was a hurdle that Karen and I didn’t cover in today’s segment, let us know what that is in the comments below, and we’ll be sure to answer it shortly. That’s it for this segment. Subscribe to our YouTube channel to get the next segment, where we’ll continue the conversation, and talk about how to get the most out of your mentorship. Ciao for now. This episode of Build is brought to you by our sponsor, Pivotal Tracker. Build is produced as a partnership between Femgineer and Pivotal Tracker. San Francisco video production by StartMotionMEDIA.